Matt Stevens is a Director at The Mortgage Genie. Here, he discusses how taking out the right home insurance can help to protect your garden. If you’re lucky enough to have a home with some outdoor space you can enjoy, it’s likely you will have paid a premium for it. And, the more you add and tend to your garden, the more it’s worth — in fact, according to The Telegraph, even homeowners with a modest income can have around £5,000 worth of goods on display in their gardens. Essentially, your garden is a goldmine in more ways than one, so you’ll want to safeguard it. And, one of the simplest ways of reducing the risk of damage or theft leaving you out of pocket is by taking out the right home insurance. Here, I’m going to explain what you need to consider to ensure your outdoor space will be protected by your home insurance. Is your garden covered by your home insurance? Your garden will be classed as a permanent feature of your home, which means most standard home insurance policies will provide it with some cover. Building insurance will typically cover sudden damage to structural aspects, such as fencing, walls, gates, patios, and sheds, and your conservatory will also be covered if you have one. If your contents insurance includes cover for your garden, this will apply to things that can be moved. So, the likes of plant pots and furniture will fall into this category. When you’re calculating the value of your assets to work out how much you need your contents insurance to cover you for, make sure you take everything in your garden into account. This should include everything from the tools you have in your shed to any valuable decorative features. If you make any big changes to the content of your garden — for example, if you buy a new garden furniture set — it might also be worth updating your provider to ensure your cover is up to date. What won’t be covered by your home insurance policy? It’s important that you check over you home insurance policy very carefully, as there might be gaps in it that could leave certain aspects of your garden unprotected. For example, damage caused by poor weather conditions mightn’t be covered in the same way as it would with your house. Certain items in your garden, such as special plants and exotic flowers, might also be exempt. If you’re a keen gardener, this is something you might want to keep in mind. When you’re shopping around for home insurance that’s going to provide your garden with a satisfactory level of protection, it’s vital that you ask each provider exactly what they’re going to cover. When might you need specialist cover? If you’ve invested a lot of money in getting your garden just how you like it, your shed is crammed full of expensive tools, or you’ve collected an impressive range of rare plants, or specialist garden lighting, simply extending your home insurance mightn’t be enough. 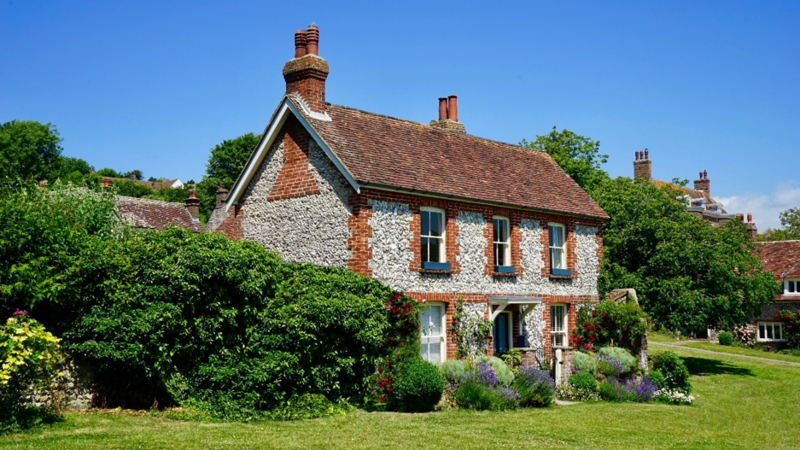 Some home insurance providers also offer specialist garden insurance policies, and there are companies that specialise in this kind of cover, too. So, it’s certainly worth enquiring about if you think it could help to give your garden the protection it needs. When you’re shopping around for home insurance and working out how much cover you’ll need, it can be easy to forget about your garden and its contents. But, gardens, sheds, and outhouses are particularly vulnerable to the likes of theft and weather damage, so it’s incredibly important that they’re covered. So, make sure you ask the right questions to ensure you won’t end up out of pocket if you do run into any trouble with your outdoor space. We welcome well-written articles from external contributors who share our approach to life, but not necessarily our opinion. Copyright remains with the original author unless explicitly stated otherwise.